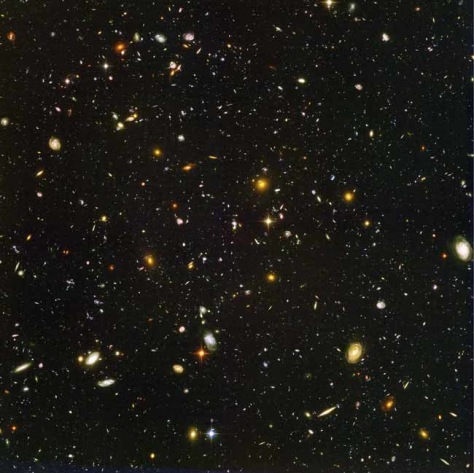 A view of nearly 10,000 galaxies, called the Hubble Ultra Deep Field, includes galaxies of various ages, sizes, shapes and colors. The smallest, reddest galaxies, about 100, may be among the most distant known, existing when the universe was just 800 million years old. The nearest galaxies — the larger, brighter, well-defined spirals and ellipticals — thrived 1 billion years ago, when the cosmos was 13 billion years old.